The season of Lent comes to a climactic turn on Palm Sunday and invites us to enter into the time known as Holy Week. During Holy Week, the center of the church year, worship takes a particular shape telling the salvation story of Jesus. The central days have come to be known as the Triduum, or the Three days, recalling Jesus’ own words to his disciples that he would be handed over to death, and that “after three days he will rise again” (Mark 10:34). On this day the Christian community gathers to share in the holy supper Christ gave the church to reveal his unfailing love for the human family. It is in this day that we remember Jesus’ mandate (maundy) to love one another as we are loved by God. This service lives into Godly love through: the act of confession through corporate confession and individual forgiveness through laying on of hands; the sharing of the Lord’s Supper; and act of service through foot washing. It’s a busy week — instead of skipping the remembrance of Jesus’ Last Supper, bring a packed meal or take-out food and join in fellowship, communion, and a brief sharing of the meaning of Passover. Join us at 6:00pm in the Family Life Center. The Good Friday services continue the journey through the Three Days of Jesus’ suffering, death, and resurrection. At the heart of this service is the passion reading according to John which celebrates Christ’s victory on the cross. 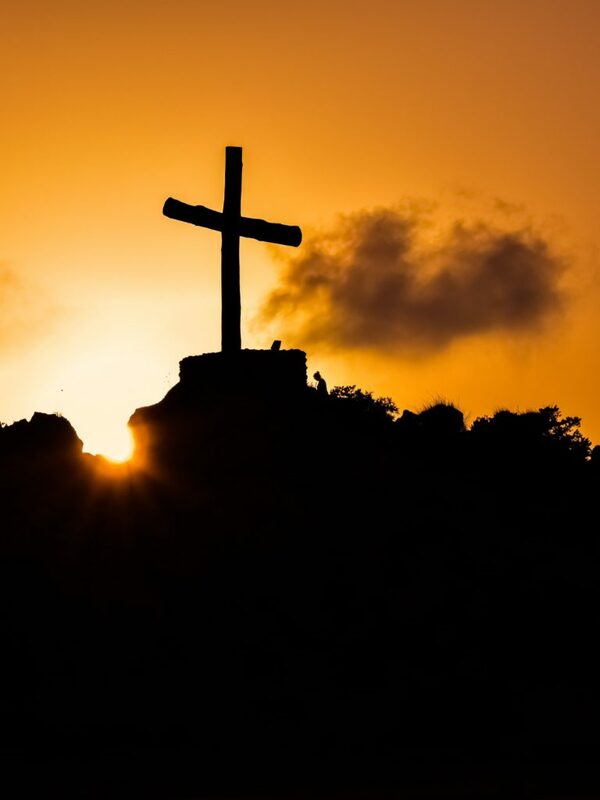 This service encourages a time for contemplation and prayer; for honoring the cross as the sign of forgiveness, healing and salvation; and a place to meditate on Jesus’ life and sacrifice for the world he loves and saves. Children’s Stations of the Cross makes the story of Jesus’ journey from death to resurrection on Easter accessible to everyone. Children travel around the sanctuary hearing about the Stations of the Cross and how they relate to our lives today. Meets at 12:00pm in the Sanctuary. Waffles and Worship is an event designed for families with young children and includes breakfast, singing, and a hands on lesson about the events of Good Friday. Meets at 9:00am in the Family Life Center. On the night before Easter Day, Christians around the world gather to cerebrate Christ’s passage from death to life. The service includes strong signs: light in the midst of darkness, the water and Word of baptism, the first resurrection meal. Our Holy Week worship continues as we celebrate the risen Christ on Easter Sunday!